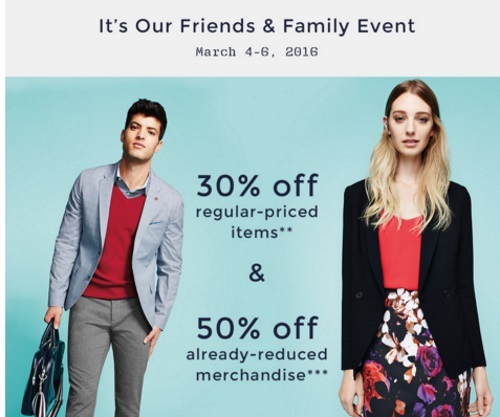 RW&Co has a Friends & Family Event on now! Save an extra 30% off regularly priced items and an extra 50% off already-reduced merchandise. No promo code is needed, discount comes off automatically. This offer is valid until March 6, 2016. Click here to browse RW&Co.